Here are some cool GCE projects, organized as online installations. Interact. Explore. Reinvent Possibility. For the Forbidden Books course, GCE students created their own speeches inspired by The Apology of Socrates, raising awareness to issues they believed are not being addressed enough in their communities. 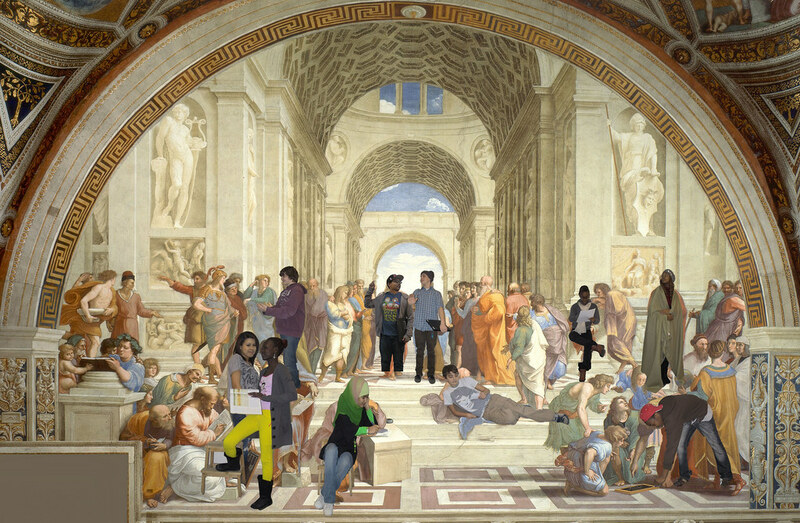 Please click on the GCE School of Athens image below to access the portal — and then click on the images of GCE students to watch their individual Apology Speeches. 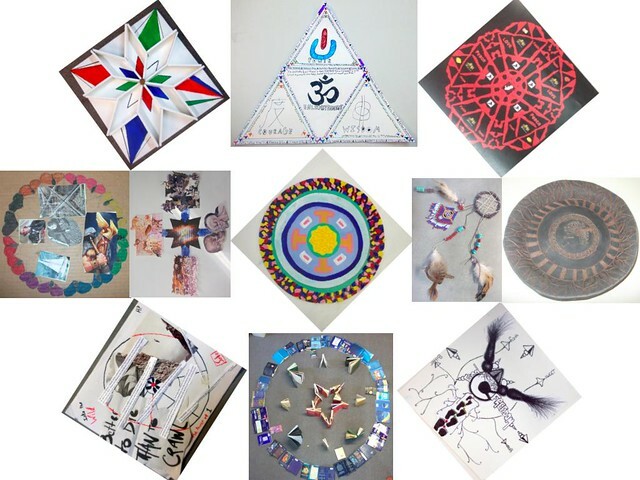 The Endurance course challenged each student to present their visions through Mandalas, the circles of life that have been used to represent dreams in various cultures. Here is a mandala of all mandalas. Please click on the image below to open an interactive Mandala map (you will be able to click on the Mandalas to expand them).